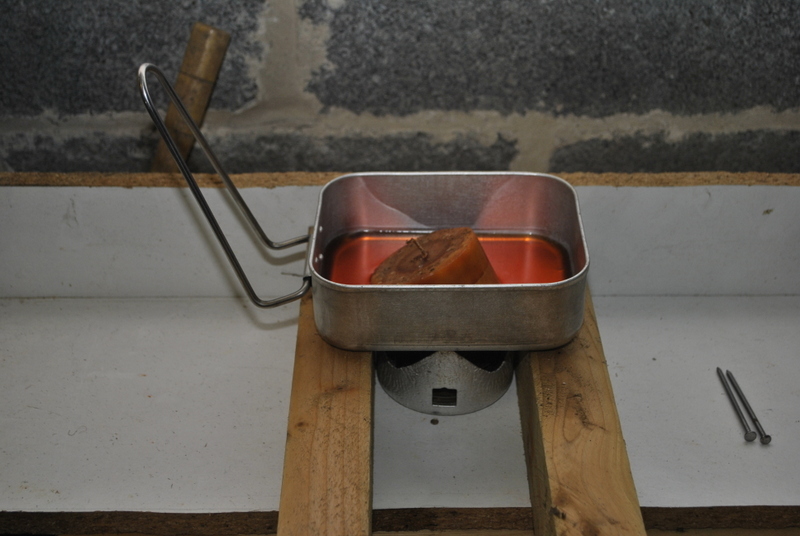 Hexamine solid fuel tablets are a simple means to cook in a way that requires minimum equipment or in an emergency. 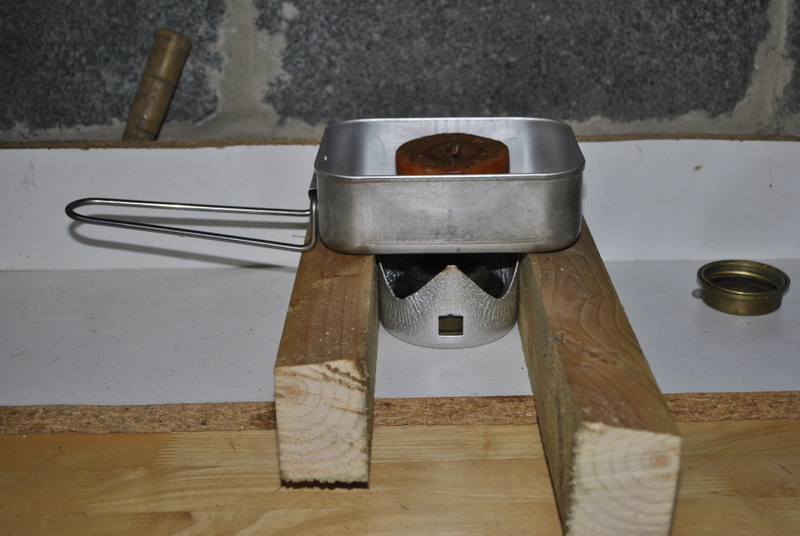 The British armed forces used to get solid fuel stoves that used Hexamine in their MRE ration packs meaning they had all the food they needed for a day along with a means of warming it. 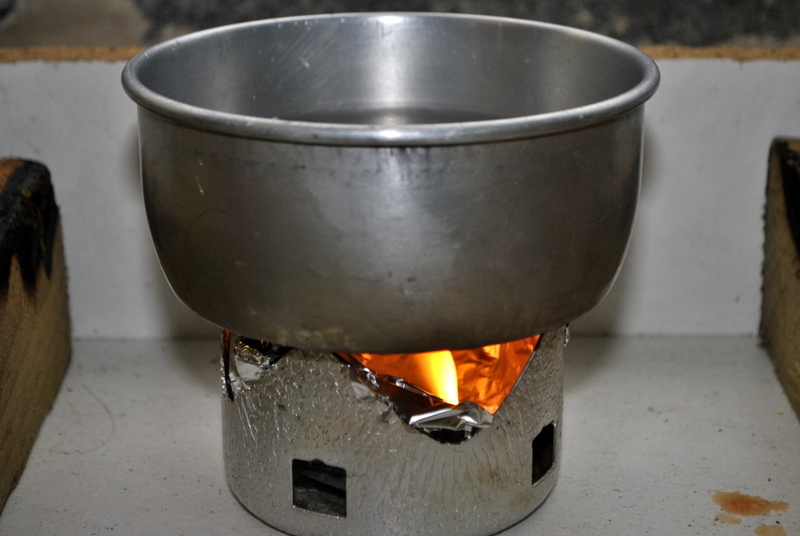 They are often used with “hobo” type stoves made from whatever materials are available such as empty tin cans or chicken wire pot stands. They aren’t terribly quick, smell awful and make a mess of pots but their simplicity is attractive. 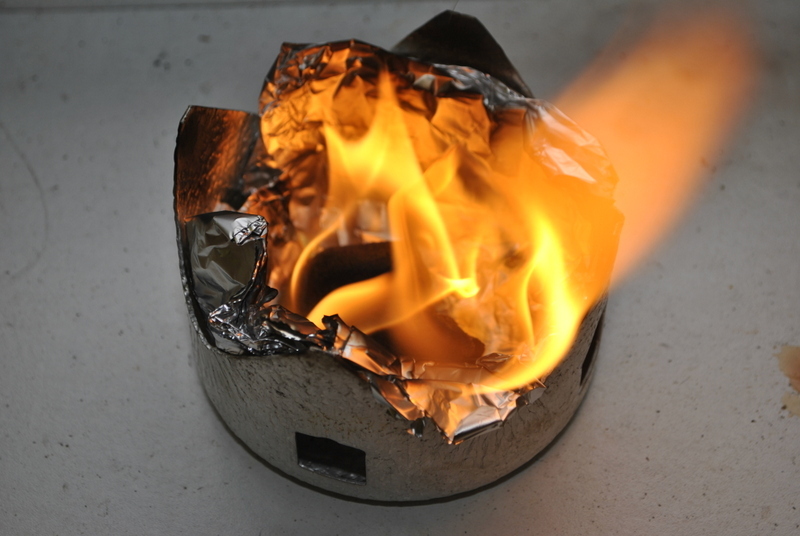 Making Hexamine is a complex procedure but that doesn’t mean that solid fuel is beyond the garage hobbyist. It’s possible to make a similar style fuel using cotton wool balls and wax as I discovered from The Appalachian Trials Blog. 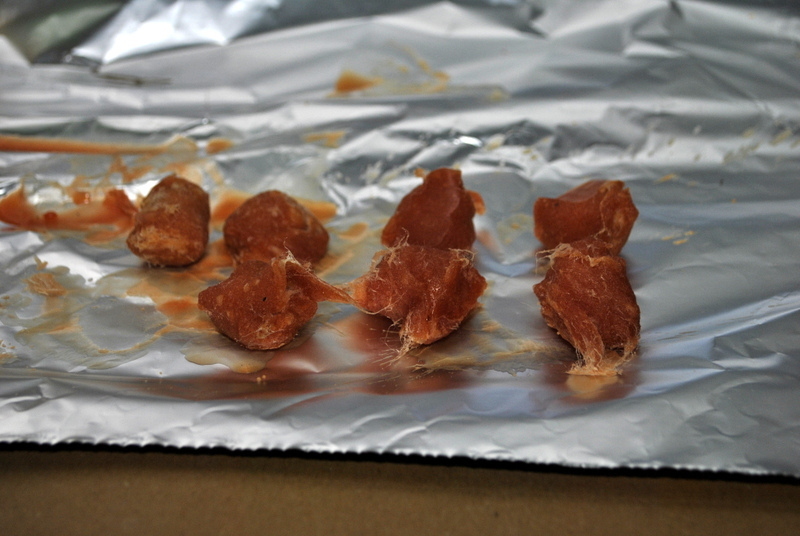 Locked in the garage with a few beers left over from Christmas I set out to see how useful wax would be for cooking. 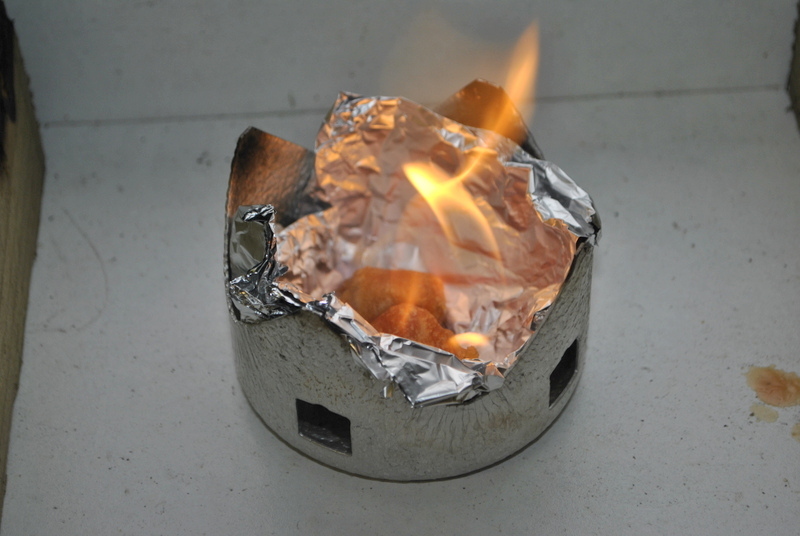 I used a Trangia Mini Stove, old mess tin, a candle that had been rolling around the floor for a number of years, a length of tinfoil to set the finished product on and a 79p bag of cotton wool balls from the chemist. 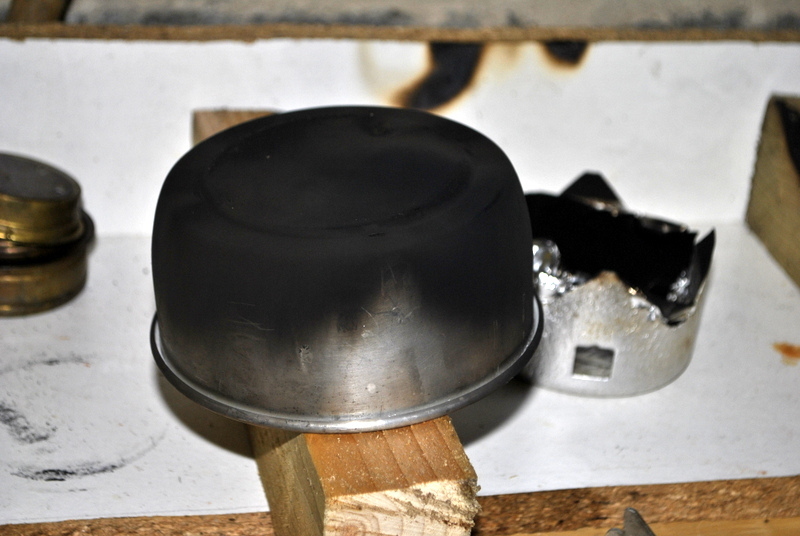 I set the mess tin on a couple of old bits of wood for additional stability as molten wax is probably something you don’t want to be spilling on yourself. It didn’t take long for the wax to melt. 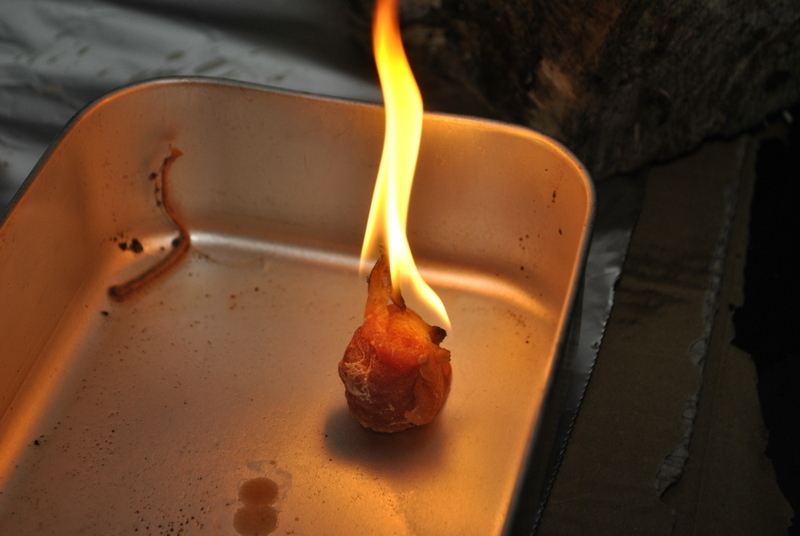 Just drop a cotton wool ball in and let it soak up the wax, then after a few seconds lift it out with a pair of tongs or similar (I used two long nails – not recommended!). The wax will drip so be careful. They dry quickly. 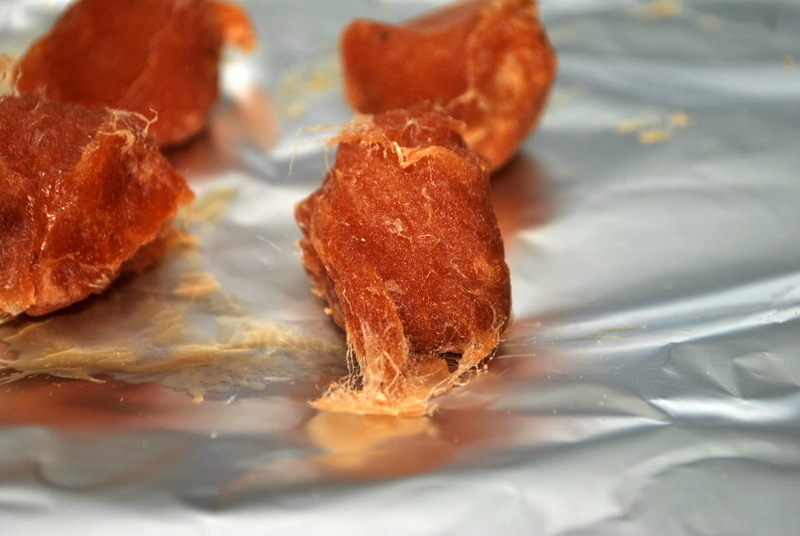 5 minutes is enough time for hardening and they don’t really stick to the tinfoil once solid. Once 7 were done I stopped. There was plenty of wax for more but I wasn’t sure if it was actually going to work as planned and didn’t see any point in making huge numbers. 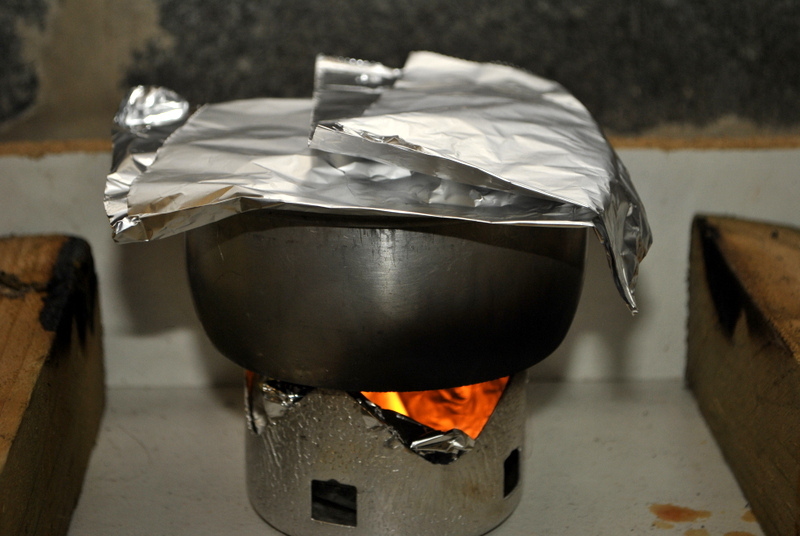 To test I put tinfoil into the bottom of the burner holder of the Trangia Mini so as to not make a huge mess. Lighting them turned out to be a very painful experiment. In the end I tossed a drop of meths in on top of 2 of the tablets. I boiled one cup of water, just shy of 3/4 pint. I covered the pot to help speed up the process. 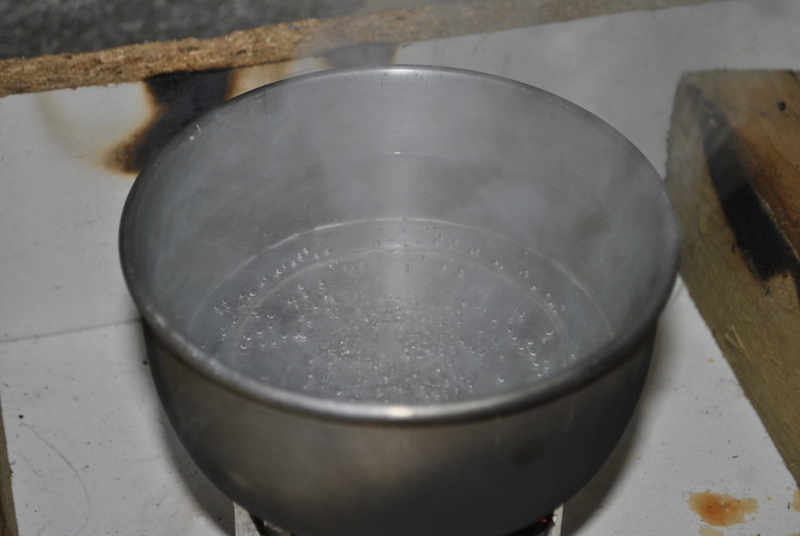 It took a whopping 14 minutes to boil the water in the shelter of the garage with the door closed. It was so long I had to have a second beer! 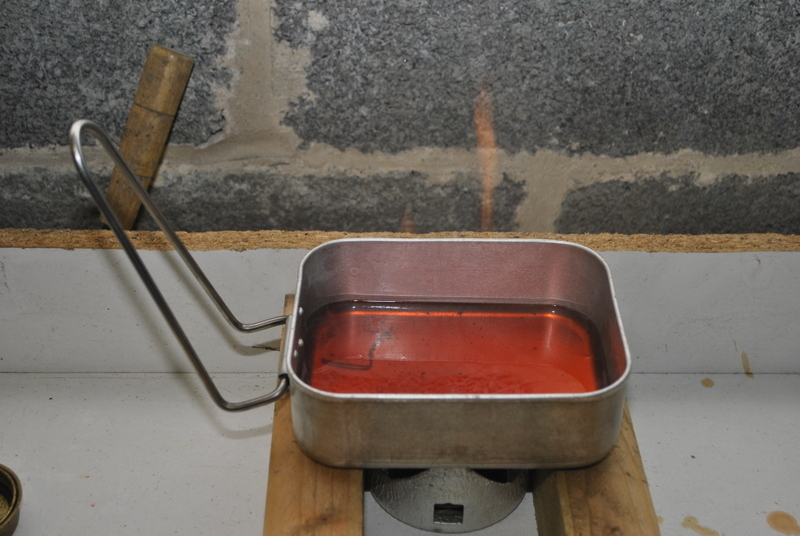 The tablets burned for another 2 minutes or so after the water boiled. 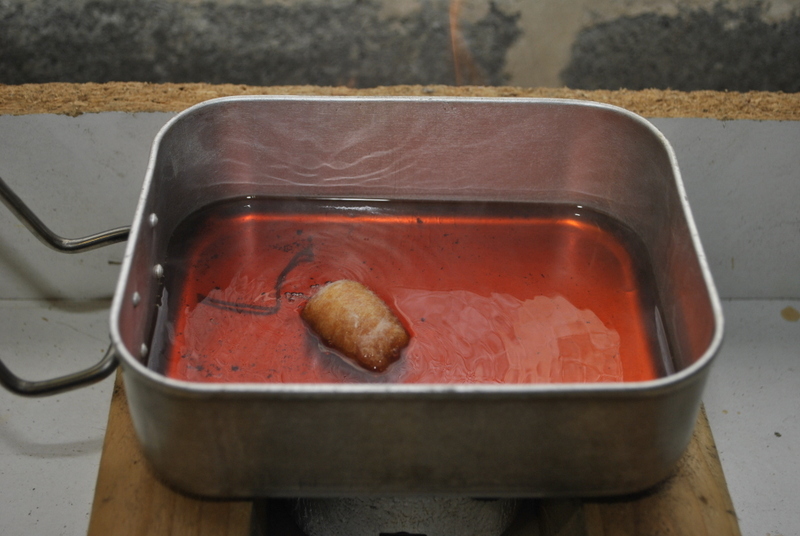 After the boil test I tried to light another without the help of meths and was more successful. 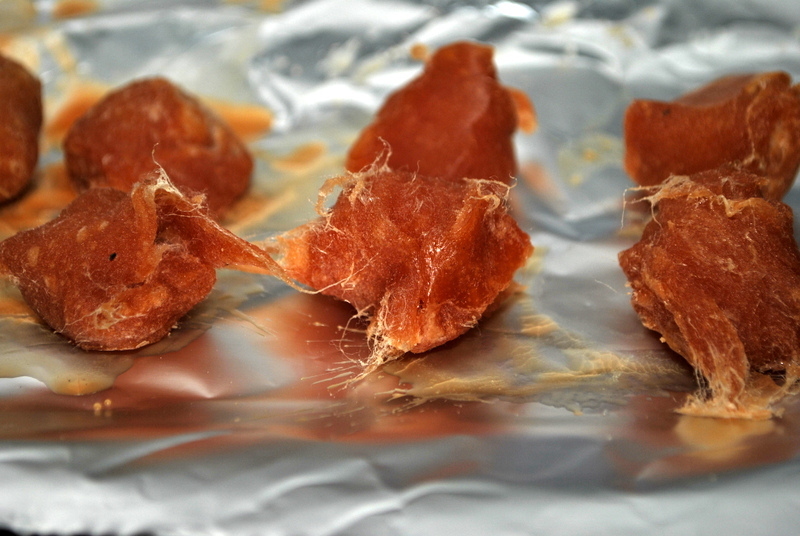 You need to expose a bit of the cotton wool by scraping away some of the outer shell of wax. The one big downside. I’ve never seen such a dirty pot. All things considered I’d call this a successful attempt and a bit of fun on a wet Saturday afternoon. If you want to make these to cook on, your food is going to take a while. Using 3 tablets would probably boil the water outdoors if you could find shelter but at 14 odd minutes per cup you’d need to not be in a hurry. Also, I used a scented candle because it’s all I had. Maybe an unscented one might have made less of a mess of the pot. 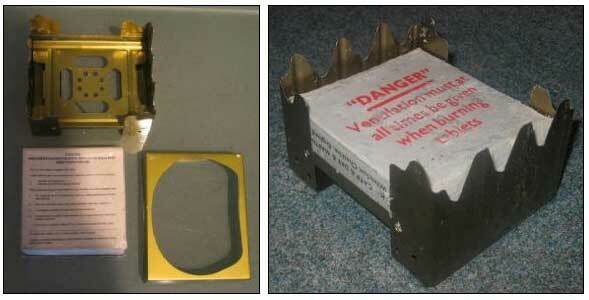 One thing they are going to be brilliant for is keeping in the first aid kit to help fire starting. On a wet day these will make lighting a fire much easier and they weigh almost nothing, plus having a few about your person could just be a lifesaver. This entry was posted in Outdoors Advice.